The three-day Habitat III Europe Regional Meeting ended on 18 March with the adoption of the Prague Declaration as an official technical input for the drafting of the New Urban Agenda. The well-attended Regional Meeting was a dynamic exercise in proactive participation from a rich diversity of representatives—from member state delegations to stakeholders. 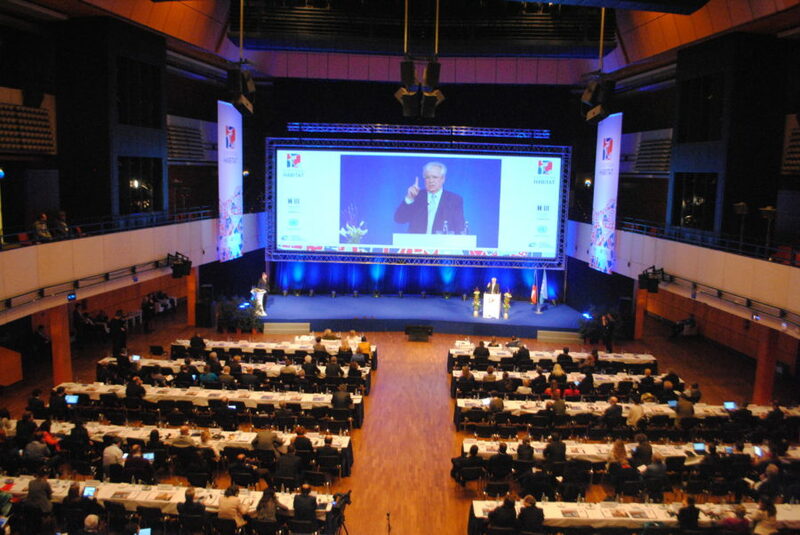 Hosted by the Czech Ministry of Regional Development, under the leadership of Minister Karla Šlechtová, at the Prague Congress Centre in Prague, Czech Republic, the meeting was a productive platform to discuss regional urban priorities and challenges on sustainable development in the next decades. Habitat III Secretary General Dr. Joan Clos, as part of his remarks for the closing ceremony, commended the Prague Declaration for its “demanding spirit,” stating that it was a much needed fundamental push. Ms. Eugenie Birch, president of the Habitat III General Assembly of Partners, referred to the Declaration as a powerful articulation of the need to include diverse stakeholders in the New Urban Agenda. There were 40 keynote speakers throughout five high-level plenaries that held intensive discussions on topics like Urban Governance; Urban Economy and Development, and the Creation of Jobs; Urban Housing and Public Services; Social Cohesion and Equity; and Urban Environment And Resilience. Engagement and interest were high at these plenaries, generating 50 statements from member states. Close to a hundred side and parallel events were held and hosted by civil society organizations, think tanks, and private sector groups. Working group meetings attended by national delegations and stakeholders were conducted throughout the three-day meeting to deliberate on the content of the Prague Declaration, which also feeds into the preparations of the Habitat III zero draft outcome document to be adopted by the Habitat III Conference in Quito next October. Another highlight of the Meeting was the official handover by all 10 Policy Units of Habitat III of their Policy Papers and key messages to the Secretary-General of the Conference, Dr. Joan Clos, and the Bureau of the Preparatory Committee. The Policy Papers are part of the official inputs for the preparations of the Habitat III zero draft outcome document as well. As the Prague Declaration nears its final iteration, its final version to be made available online at the Habitat III website, several participants lauded the Europe Regional Meeting as a rewarding process in helping raise the level of conversation needed to make cities better and in charting a sustainable path for urbanization, enthusiastically anticipating the remaining Regional Meeting in Toluca and Thematic Meetings in Barcelona and Pretoria.